Paris’s elegant parks and gardens are the focus of this tour, the format of which is similar to our successful in-depth tour of London a few years ago. Each day we visit a selection of fascinating green spaces, while also taking in some of the city’s best churches, cemeteries, and historic monuments. The famous chateau gardens at Versailles, Vaux-le-Vicomte, and Courances feature, as do cutting edge contemporary parks, such as Parc André Citroën. 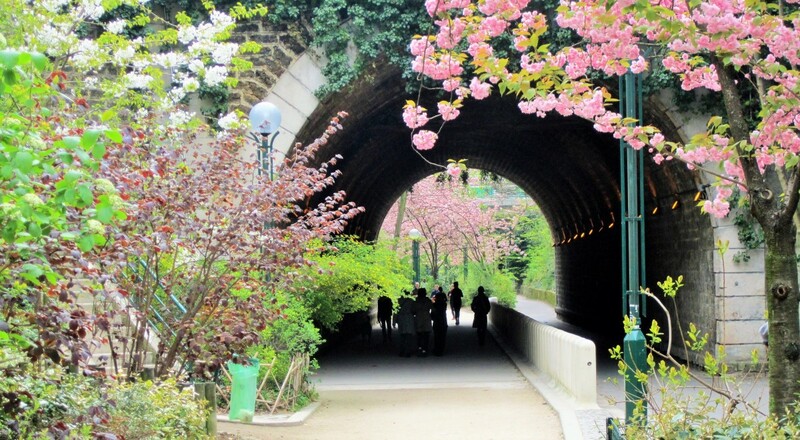 We also get off the beaten track and explore some of the capital’s lesser known parks and squares and gems like the Promenade Plantée, the almost three-mile-long, part-elevated linear park, which served as a model for New York’s celebrated High Line project. Other highlights include visits to UNESCO’s Garden of Peace, designed by the sculptor Isamu Noguchi; the superb gardens at Musée Rodin, Musée Carnavalet, and Musée du Quai Branly, with its dramatic green wall designed by Patrick Blanc; and historic Parc des Buttes Chaumont and La Cimetière du Père-Lachaise, the city’s most prestigious leafy cemetery. Based in one hotel for all seven nights, this tour will give participants the opportunity to explore in depth Paris’s many varied neighborhoods and to gain an intimate view of a side of the city that visitors seldom see. Participants must be fit and able to walk unaided for long periods as most of the sightseeing will be on foot, with use of the Metro to get around the city. Participants will receive a detailed itinerary closer to departure.